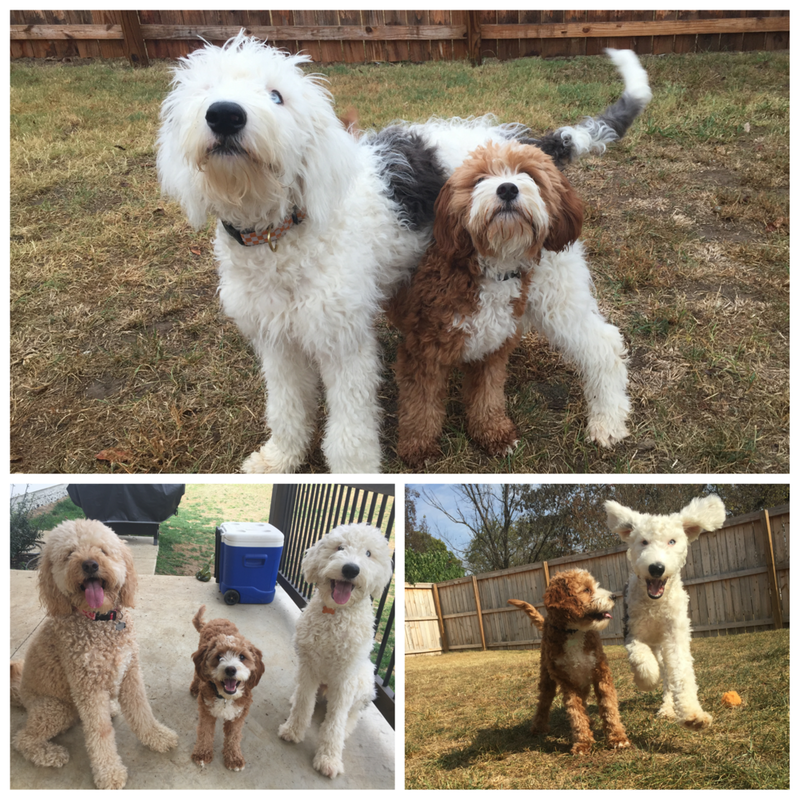 Park personality: Whether at the dog park, or in their yard at home, this duo's unique dynamic always comes into play. Shep is the goofy, clumsy, silly one, while Rudy definitely acts like the big brother, even though he is half the size of Shep. Rudy especially loves to steal the ball from Shep and/or Lucy and try to get them to chase him around the yard. What we love most about them: Their boundless energy and hearts of gold - and the fact that they're both total hams for the camera!